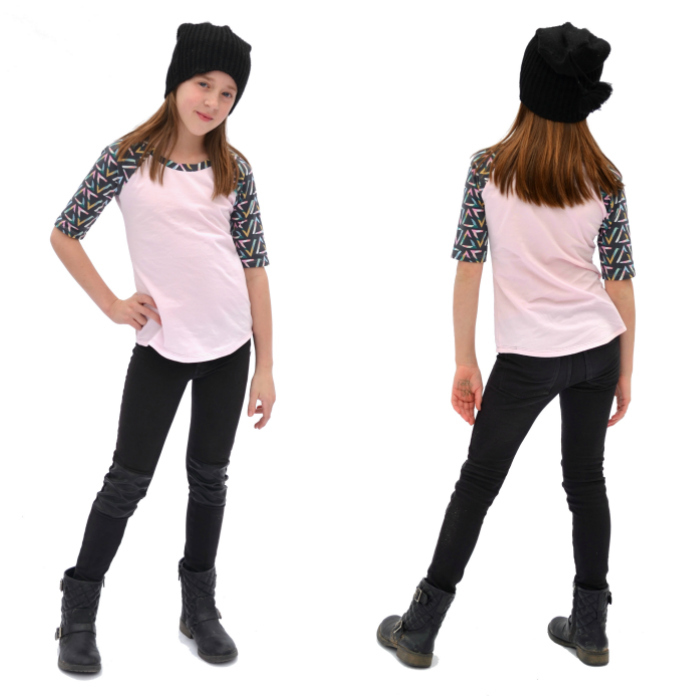 The Camden Raglan is kicking off this line as the perfect raglan tee staple for your girls’ wardrobe. 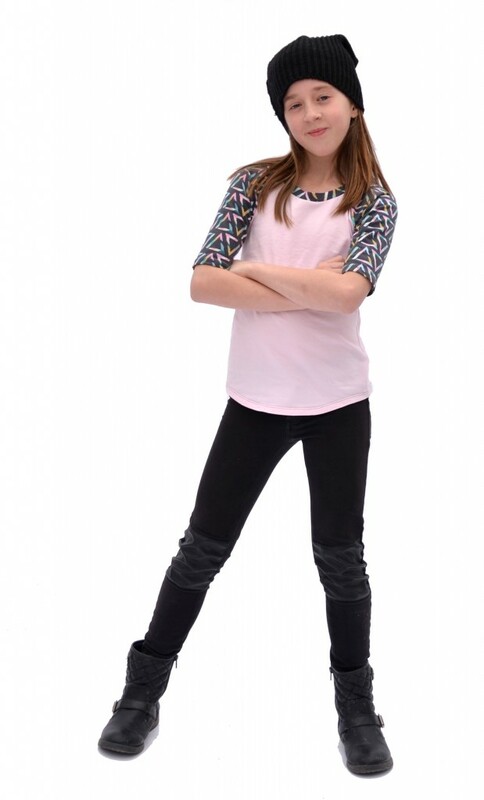 The version shown here is the most basic, with elbow length sleeves and a curved hem. You can sew this view together in only about 30 minutes! You know, just in case they never put their dirty clothes in the hamper and their closets are empty before school. 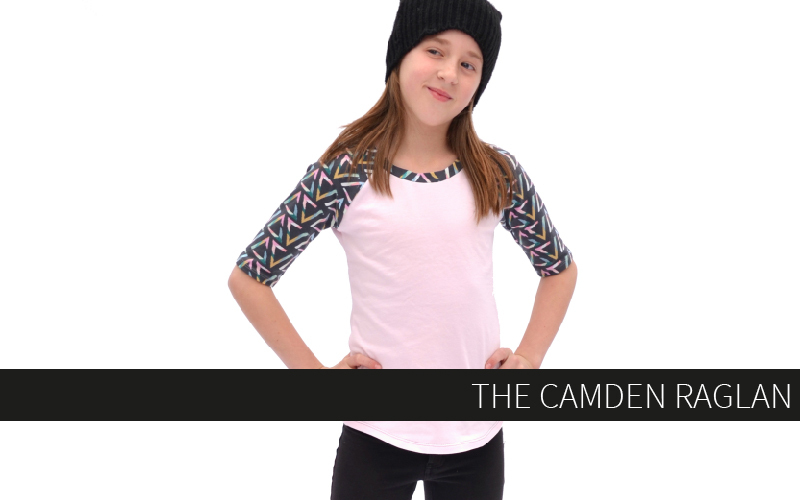 The Camden is aimed toward older girls with its flattering curved raglan and side seams and a wider neckline. All of the sleeves are fitted, and the long sleeves are cut extra long to be more in line with RTW styles. 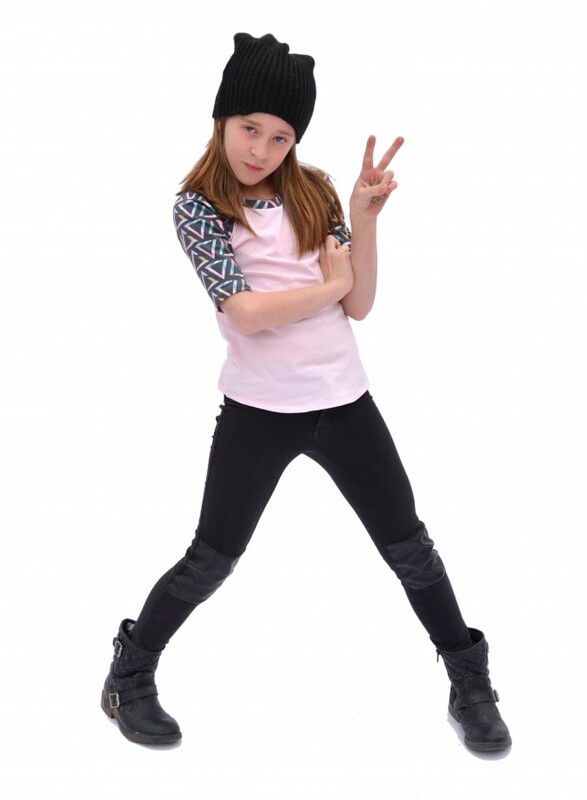 Other options include 3/4 length sleeves, long hemmed sleeves, long sleeves with extra wide wristbands, a banded hem, a kangaroo pocket, a hood, and sporty sleeve stripes! Mix and match to make your (and your picky teen’s) perfect raglan tee! I started sewing again when this almost-10 yr old kiddo was born, and I love that Hey June is growing up with her. 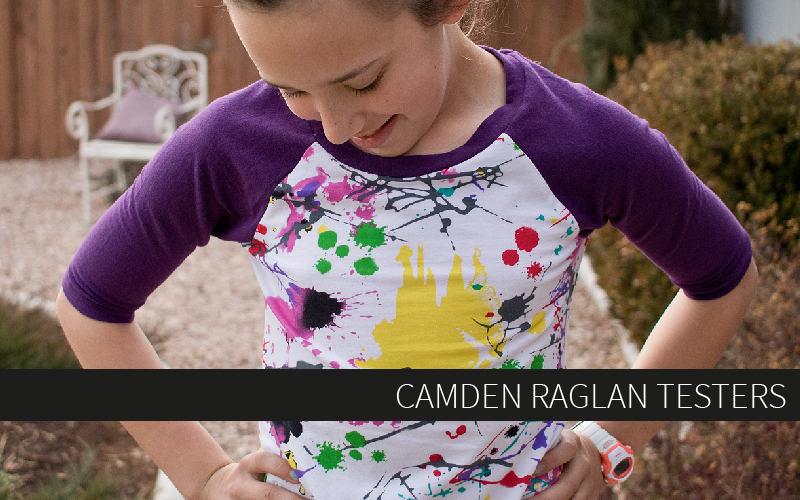 The Camden Raglan came about when I couldn’t find the perfect non-unisex, shaped raglan pattern to mimic the styles we were finding in stores that went up to teen sizing. Future Hey Juniors patterns will probably come about the same way. I’m always up for suggestions and requests if the perfect pattern is eluding you and your tween/teen as well! Come back here tomorrow to see a round up of all the fabulous tester Camdens and see all the options and opportunities for personalization! And don’t forget to grab the pattern while it’s on sale! It’s only $6.50 through Sunday 3/13 at 11:59 pm MST – no coupon necessary! Now that’s a deal. Thank you! I shop for my girls and don’t love all the characters/way too grown up stuff on shirts for them. And they are exactly in this sizing! So thanks a ton! I feel the same way! Glad this is helpful for you! I love the name- so perfect! 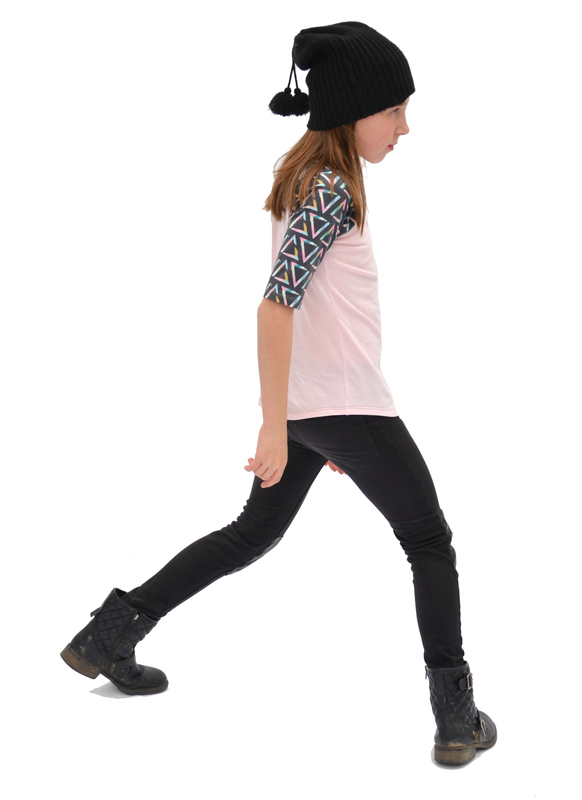 I am so happy to see this size range coming into it’s own– my girl is only 6, but big and I am already seeing the end of some great patterns. This is a perfect classic style she can wear now and (might) still be willing to wear when she’s older too! I began sewing for her more and more when she moved out of the toddler size range and into “big girls”- the fabric alone those clothes are made of is awful- not to mention the styles. Thanks for filling in the gap for these kiddos (and their moms). Yay! 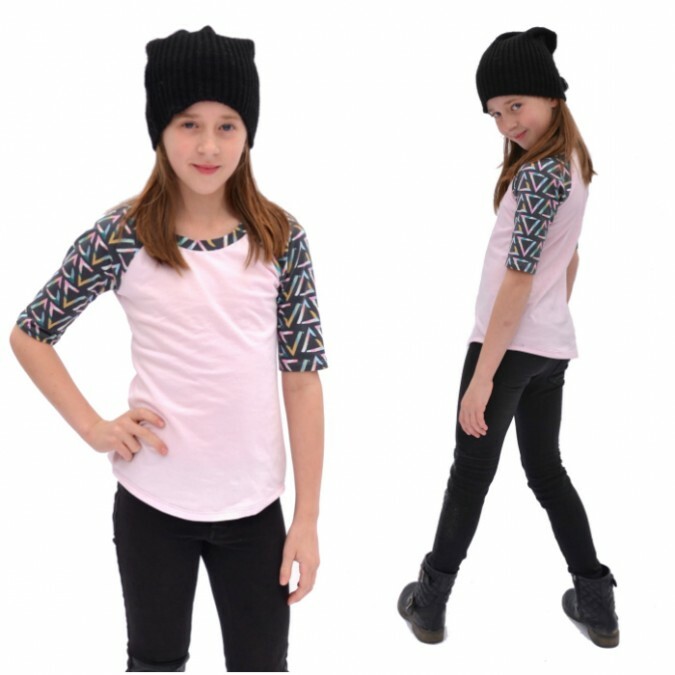 So glad to have another option for my tween girls! They are going to love this pattern! Yaaaaayyyy!!! I have a 9 and a 7 year old who will be so excited!! Fantastic! Can’t wait to see this line expand. Thank you so much for this! 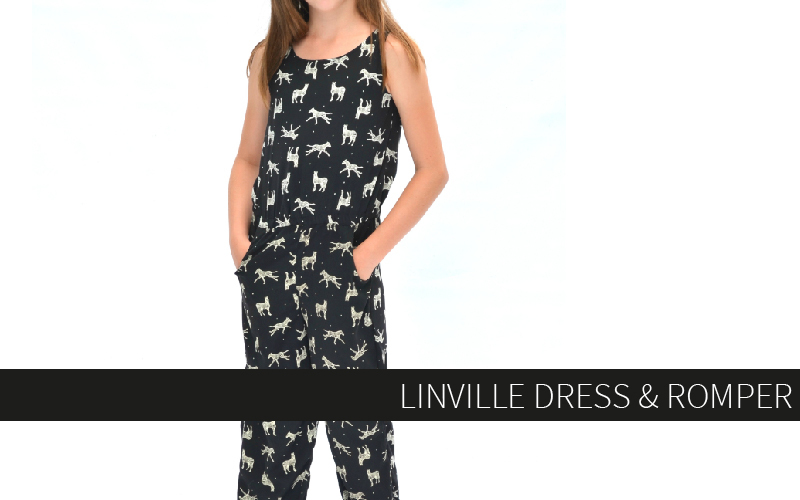 I too have an almost-10-year-old who is OVER dresses and cutesie little girl patterns. I’ve been feeling sad that there’s not much I can sew for her anymore, so I’m super excited about the Hey Juniors line! Can’t wait to see more! Oh that is #1 on my list too! I’m thinking I should probably wait until Fall to release a pattern like that, but I can’t wait to do that one!! Thanks Lucinda! This is awesome! Love that you are accommodating the ever-so-forgotten tween. I’ve got 12 and 14 year old boys and patterns for them are scarce. Do you have anything in the works for tween boys by chance? So excited about your size range!! 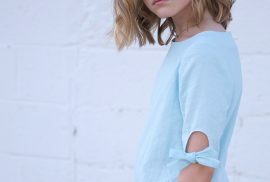 My 9 year old is pushing the end of all the little girl patterns that go to 10/12 and so many store bought 10/12 clothes are too wide for her narrow rib cage. I can’t wait to see what else you release in this range.